Be a "Nosy Neighbour": Find out what the home down the street sold for... and how it was marketed! 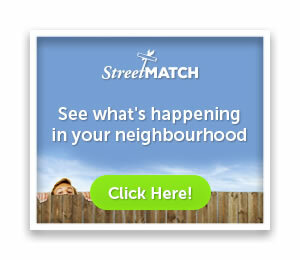 Are you just curious about how other homes in your neighbourhood are marketed (and the price they’re asking)? Do you want to keep current with similar homes to yours and their sold price? I offer a unique service to my clients and prospects that provides up-to-date information about your neighbourhood sales, delivered personally to you! When you fill in the form (click the image below), you will receive an email a day with all of the properties currently for sale in your specific neighbourhood. You can look at the way the homes are presented to potential buyers through pictures or videos and the listed prices. And, should the sellers make a change to their listings, you will receive these as well. To follow up, after two weeks, we will send you an update of all the homes sold in the neighbourhood. You will see first-hand how much the homes sold for, and how long the properties were on the market. Be a Nosy Neighbour... ↓ click the image below to get started! For more information about this unique service, check out my Frequently Asked Questions section. When you fill in the form below, you will receive an email a day with all of the properties currently for sale in your specific neighbourhood. You can look at the way the homes are presented to potential buyers through pictures or videos and the listed prices. And, should the sellers make a change to their listings, you will receive these as well. ?For further information on real estate matters, please contact Bruce at 416-WITCHEL 416-948-2435 or by email at Bruce @ BruceWitchel.com. Be a "Nosy Neighbour": Find out what the home down the street sold for... and how it was marketed! Fill out the form below.